Qualifying concluded on Saturday for the heads-up classes at the 14th Annual Heartland Nationals. Rod Trower ran a great 2.67 in the Top Alcohol class, which is just four-hundredths of a second off of the track record set by Gary Mink last year. Dee Trower’s 2.951 held up for the top spot in Top Eliminator. Dee also ran the best pass of Saturday in TE qualifying with a 3.01 in the final session. Bracket class winners from Saturday included Kevin Self (Pro 2 Quads), Cody Ford (Pro 3 Quads), Chloe Cooper (Pro 4 Quads), and Cody Reeves (Peewees). 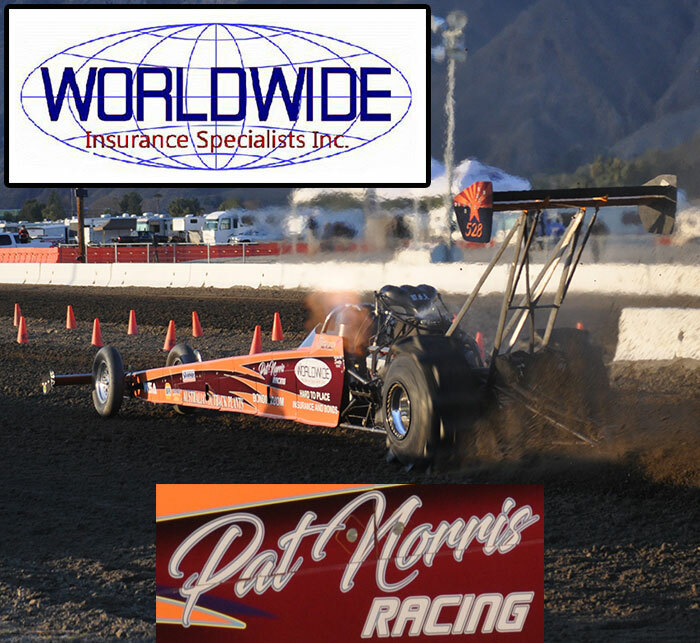 Eliminations are on tap for Sunday in Top Alcohol, Top Eliminator, Pro 1 & 2 Cars, as well as Pro 1 Quads. Stay tuned to NSDN for elimination day coverage. The 14th Annual Heartland Nationals at Atoka Motorsports Park in Atoka, OK is underway. Friday’s action saw Dee Trower lay down a nearly perfect 2.951 to take the top spot in Top Eliminator. A strong field is behind her in the TE class with several entries rolling in the gates looking to make their first qualifying attempt on Saturday. Rod Trower is currently the only entry in Top Alcohol, and the Strasburg’s made some great tuning calls to run a 2.73 in just the second pass after making some wholesale parts changes over the winter. The Quick 16 classes put on an amazing show as always on Friday night. Texas racer John Acker battled through the Q16 Cars class to take the win with his V8-powered Dragster over the Motorcycle-powered Dragster of Tim Feuerhelm. Another out of towner took the Q16 Quads class as Phoenix AZ’s Keith Ahart put his trademark Motorcycle-powered ATV in the Winner’s Circle after defeating the four stroke-powered entry of NHRA Comp Eliminator racer Kevin Self. Saturday’s action will include final qualifying for the Heads-Up classes, eliminations for the lower ATV classes, and time trials for the Pro Bracket categories. National Sand Drag News is heading to Atoka, Oklahoma for the 14th Annual Heartland Nationals over Memorial Day Weekend May 25-27. This is also Race 1 of the 2012 Mid-America Sand Drag Series. NSDN will have our normal Coverage with same day results, video, and more. This NSDN Daily Race Coverage event is brought to you courtesy of Trower Racing and Atoka Motorsports Park. NSDN will also have Live Text & Video updates on our left sidebar. Racing kicks off on Friday with the initial rounds of TA & TE qualifying as well as the Q16 Cars & Quads Shootouts. Check back throughout the weekend for all the latest from this event.